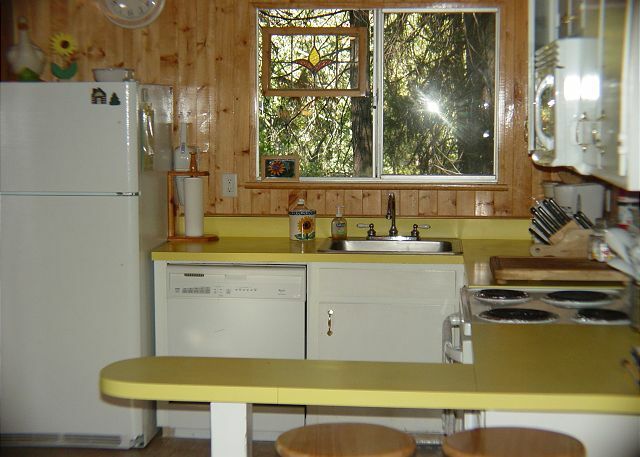 If you are considering renting multiple units, this cabin is just a short walk away from Hale Lani 16, Til HImla 5 and Bungalow-by-the-Lake 29. Cabin Layout: Three-Story. Living/Dining/Kitchen; 1 Full BA; 1 BR w/King; 1 BR w/Queen. A cozy home good for up to 3 families! 5 min walk to the lake. Great location to get to other parts of Twain Harte quickly and neighborhood areas as well like Sugar pine, pinecrst and Donn Pedro. Great place to stay. Had all the amenities that we needed and communication was great! Once again, we loved our stay. Great cabin, Great location, great weather. We'll be back next year! Great cabin! Nice mix of cabin and home. Very convenient to the Lake. We have been renting this cabin for years. Great location. Cabin could use some updating. This was perfect, with two rooms upstairs + loft and a second apartment downstairs. Two-three small families or one big family could comfortably stay here. We had two 3 person families, and it was very spacious. Large deck to bbq looking out to the lake. The lake is a 5 minute walk away! Another great stay at the Twin Cedars Cabin. Only feedback we have is that all the electrical outlets in the bedrooms do not hold plugs tightly. When anything was plugged in the outlets got very hot and the plugs kept falling out. Just concerned this could be dangerous. Otherwise, we enjoy this cabin very much. We had a wonderful time. 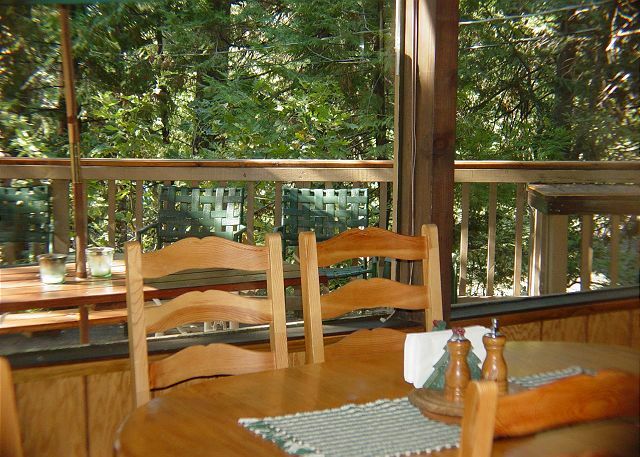 The cabin units each have a deck with a peekaboo lake view. We had a blast at the adorable T.H. Lake carnival.We rented a ski on Tulloch one day, repelled in moaning cavern and wine tasting on another day.Fabulous vacation! Excellent location! We had a ball. Grandparents, kids, and grandkids playing together. Swimming, fishing, baseball at the field, golf, and lots of games. Our cabin was perfect - especially the downstairs quarters which was perfect for the early risers. The lack of windows at the back (over looking the porch) made for very poor ventilation. We had to run the fans constantly. Even though we could sit on the patio and have a nice breeze coming from the lake, there was only the door that would let the air move through the house. We had to sleep with the porch door open at night just to try and cool the house down. If those big windows could have opened it would have been wonderful! We have rented this house for many years. The property is well kept by the owners. the kitchen is stocked with plenty of silverware/plates/glases and cookware. Overall a very comfortable house to rent. The cabin was wonderful, easily fitting two families of 10 people, and providing all of the necessities needed for a 3 day stay. 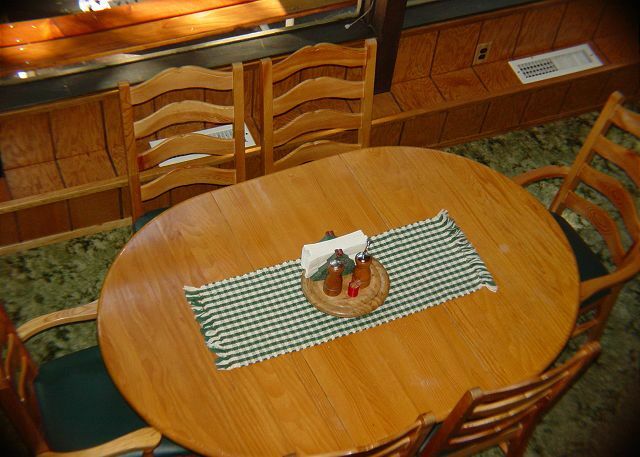 Wonderfully decorated, the cabin is actually more charming than the site pictures capture! One note, the WiFi internet was not functioning, we alerted THVR management to address. We would definitly stay here again. Perfect location. Walking distance to the Lake. We have stayed in this house for at least the last 15 years. The owners always do something every year to update the place. This year it was a huge gas BBQ. A great place to stay. 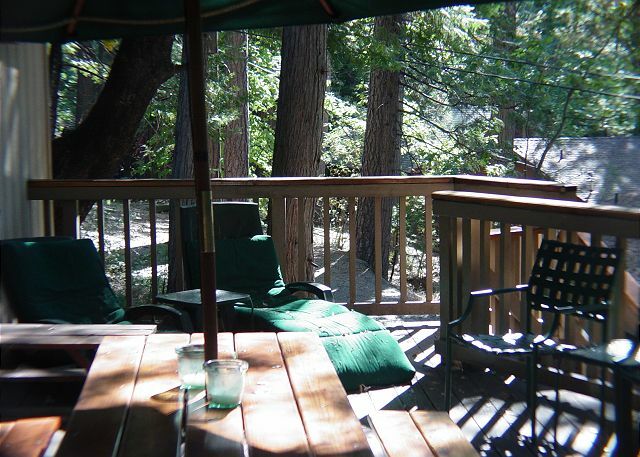 We love our week in Twain Harte. The house is in a great, convenient location. The house is very well appointed and we loved the new gas BBQ. Great Cabin, perfect location. Cabins are very close together in this area.